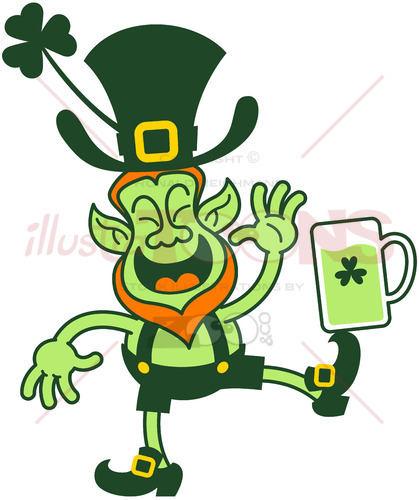 Home » Image gallery shop » Images for all occasions » Saint Patrick's Day » Green Leprechauns get crazy celebrating St Paddy’s Day! 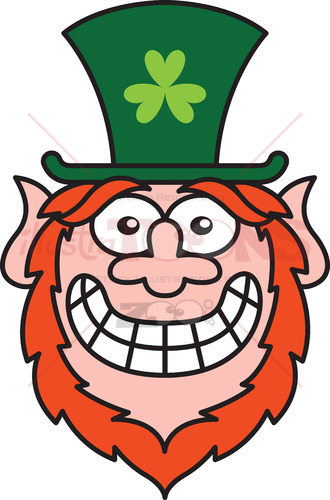 There are thousand of joyful reasons for Leprechauns to get crazy at St Paddy’s Day! 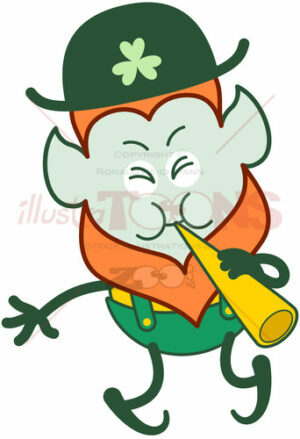 We have alarming news about Leprechauns who get crazy these days! 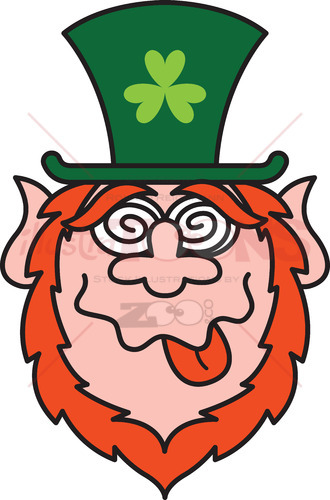 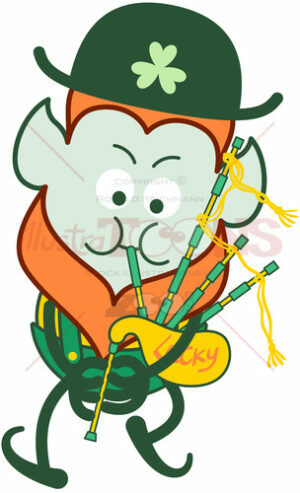 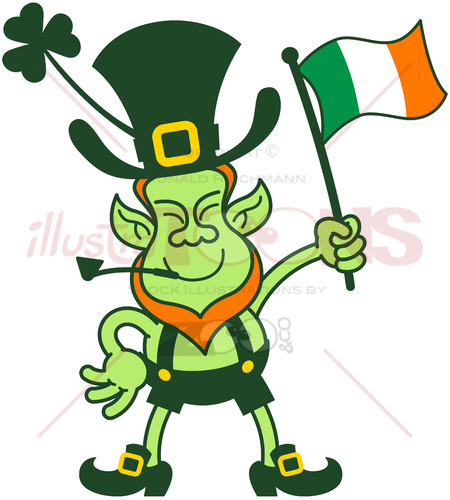 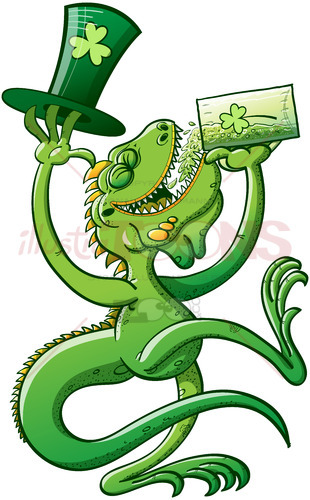 Funny Leprechaun with red beard, pointy ears and big clover hat while showing spinning eyes and sticking his tongue out. 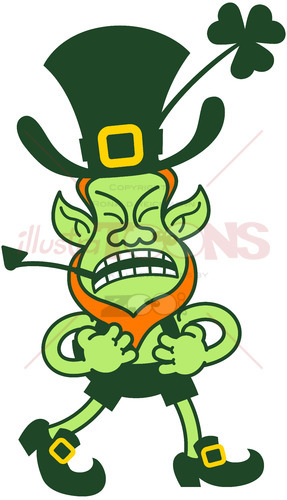 Is he feeling dizzy? 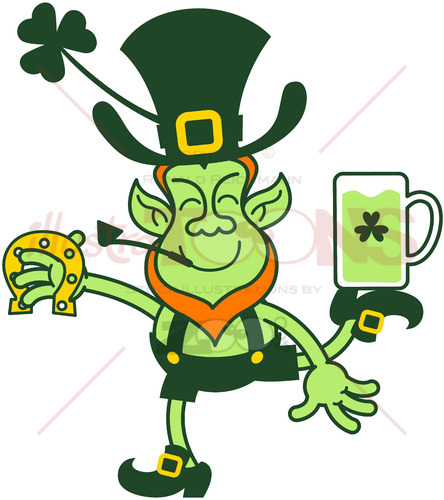 Is it because of Saint Patrick’s Day beer?